Discover the secrets of the Nanoworld! 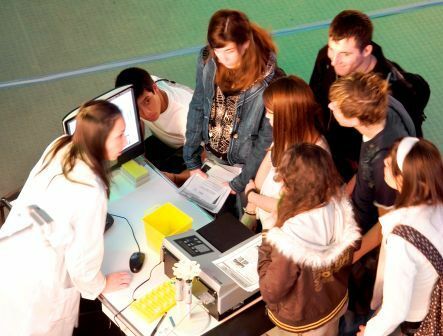 NANOYOU (Nano for Youth) is a project funded by the 7th Framework Programme of the European Commission that aims to increase young people's basic understanding of nanotechnologies (NT) and to engage them in a dialogue about its ethical, legal and social aspects (ELSA). NANOYOU aims to reach young people aged 11-25 in schools and science centres around Europe and Israel. The “Virtual dialogue” will engage students in a dialogue about the ethical, legal and social implications of nanotechnologies through seven different dilemmas around applications such as GPS jackets or antibacterial socks. The dilemmas will be introduced through an animation and students will be invited to give their opinion and to engage in a discussion with other students through a virtual forum. The dilemmas are being developed by the educational network ORT based in Israel and will be presented at two levels according to the educational needs of each age group (11-13 and 13-18). At the end of this week the 25 finalists to become a Pilot School will be announced. Next January teachers from the selected schools will take part in a training workshop in Brussels organized by ORT and EUN and with the collaboration of iNANO. The teachers involved in this workshop will run activities around nanotechnologies in their schools and will share their experiences with other teachers, offering help for those interested in taking part in NANOYOU. Next 5th and 6th of December CCSTI-Grenoble is organizing a weekend video contest workshop. During the weekend several experts in the field of nanotechnologies, and also artists, architects and social scientists, will discuss NT research lines and applications with the participants. Following this interaction, participants will be asked to produce a short video on “Living in a 2.0 City”. The winners will take part in a public debate on nanotechnologies that will be organized in Paris in March 2010, at the Cité des Sciences et de l’Industrie. Let us know what you think, in the survey! Until the end of this week NANOYOU is undertaking an online survey across Europe within a social study about young people's perception on NT. The survey is a great opportunity to introduce your students to nanotechnologies and to gather their initial opinions before working on this subject. NANOYOU encourages schools around Europe to promote participation as students’ opinions are essential to develop tools that meet their needs. Help NANOYOU create a Photo Gallery of Invisible Technologies! Take pictures of objects where you think that nanotechnology is involved and add them to our gallery. The first 30 participants will be invited to visit the MINATEC research centre in Grenoble to meet researchers and to see prototypes containing micro and nanotechnologies. Some of the pictures will be selected to be part of the exhibition that NANOYOU is preparing for museums and Science Centres and which will be first opened in France. Last October the members of the NANOYOU Consortium met in Cambridge to evaluate the prototypes of the educational tools being produced by each partner and to coordinate the launch of the educational activities in European schools next January. The background and expertise of each partner resulted in very constructive guidance to improve the tools being developed. The meeting was also an opportunity to visit Cambridge’s Nanoscience Centre and its nanotechnology labs, to learn about some of the research projects that are being done there and to engage with young scientists in a participative and interesting discussion on how Nanotechnologies should be communicated to the public, coordinated by Professor Mark Welland. 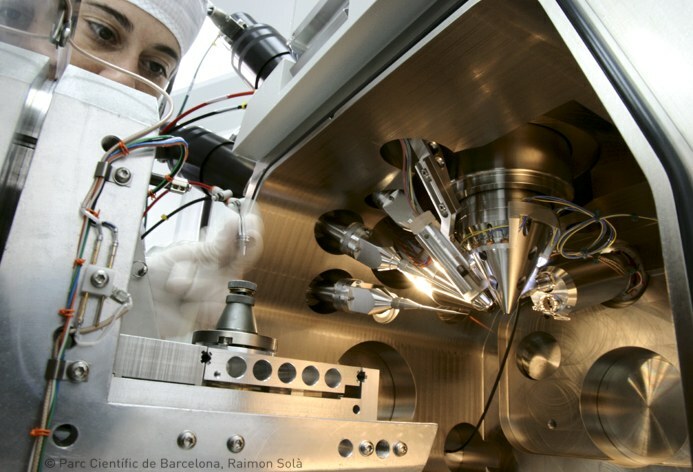 Barcelona Science Park and Cambridge Nanoscience Centre have been collaborating to develop the Virtual Experiments and a short film on nanotechnologies. A research project on an electronic nose being developed by IBEC (The Institute for Bioengineering of Catalonia) at the Barcelona Science Park and a research project on a nanoscale transistor as a key component in a future computer device being developed at Cambridge Nanoscience Centre are being transformed into Virtual experiments that students will be able to replicate through the web portal. For the development of the film an audiovisual production team from Cambridge visited UCAM’s and PCB’s installations to interview some of the scientists working with nanotechnologies. The Nanoscale Informal Science Education Network (NISE Net) is a US-based community that links researchers working on nanoscale sciences and engineering with informal science educators in order to create collaboration to foster public awareness, engagement and understanding of nanoscale science, engineering and technology. Even if the materials available are mostly aimed at informal education, the activities and programmes can easily be adapted for use in formal education as well. SPMage is the International Scanning Probe Microscope Image Contest. In this website you will find a gallery with amazing images from previous editions of the contest. In this issue of the Big Picture magazine produced by the Wellcome Trust, aimed at bringing cutting-edge science to the classroom, you will find useful information on nanotechnologies and their social, ethical and legal implications.